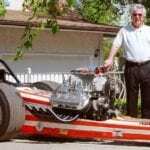 Brian Mulligan, known as the “Bilingual Voice of Racing,” began announcing at Cedar Dragway in Quebec in 1966 and moved to Napierville Dragway when Ron Bracker purchased it. Years later in 1970, he moved on to Sanair as the regular announcer, where he announced the 1971 NHRA Grand nationals. He announced his first event internationally at Pomona, California in 1972 for the Winter Nationals event. 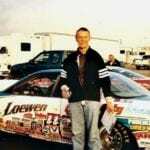 In years to follow, Brian announced Major Drag racing events at Columbus, Ohio, Gainesville, Florida and other major events in the United States and in Canada. Counting all forms of motorsports, Brian has announced for over 100 promoters in the U.S. and in Canada. He still announces motor racing events on about 30 race days a year from auto racing in the warmer months to snowmobile events in the winter in both the U.S. and in Canada.